majoring in Vocal Performance. She is also a graduate of Central High School under the direction of Stan Scott. Dazie has taught music and drama in private schools, public schools and in her private studio. Dazie has worked at several local churches in their music departments from traditional music to contemporary worship bands. Currently Dazie is the Vocal Coach for the local group, Rockestra, which is a complementary group of the Grand Junction Symphony Orchestra. She has held many lead and supporting roles at CMU, the Cabaret Dinner Theatre, and the High Desert Opera Company. Although she LOVES music and working with children, her main passion is her husband and her own three children. Danielle Behrens is a licensed Kindermusik Educator with a Bachelor’s Degree in Vocal Performance from Colorado Mesa University. She taught Basic Music, Choir and Drama at Bookcliff Christian School for six years and is a member of The Tonettes, a popular, 1940’s style, vocal quintet. Danielle strives to continually encourage and inspire families on the Western Slope with her passion and love for music and education. Maddie Taylor is a graduate of Colorado Mesa University, majoring in Music Education. 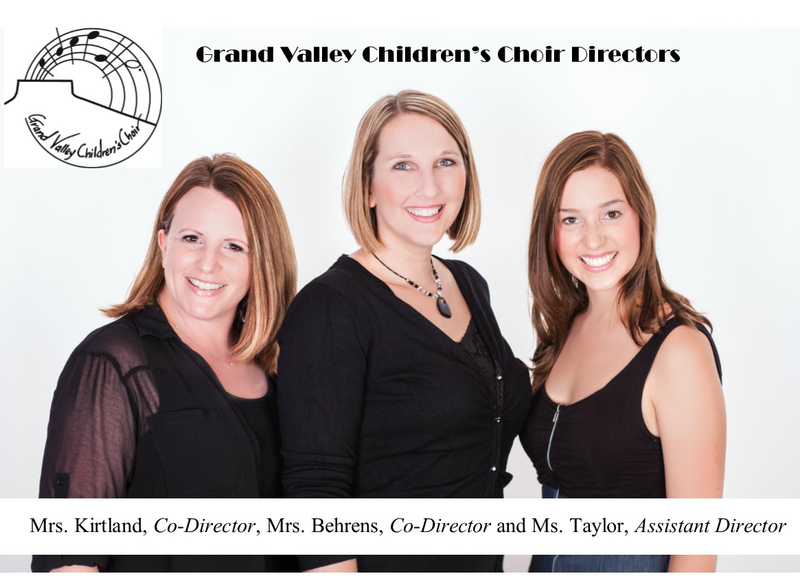 She has volunteered with Grand Valley Children’s choir for the past few years and is excited to be Assistant Directing again this year.